Whether it’s birthdays, holidays, or any other occasion, it can be difficult to find the perfect gift for the sports lover in your life. So what is a person to do when they’re in dire need of a gift that truly resonates with their passion and personality? In order to help you out, we’ve decided to compile a list of some of the best six ideas we’ve found, that sports lovers will be sure to appreciate. Whether it’s soccer, baseball, football, hockey, volleyball or skiing; there is a great and affordable gift on here for every sports fan in your life. Volleyball gift ideas for players can be tough to find. There are some out there, but most volleyball players won’t bat an eye at the cliché custom socks or brand-new volleyball. 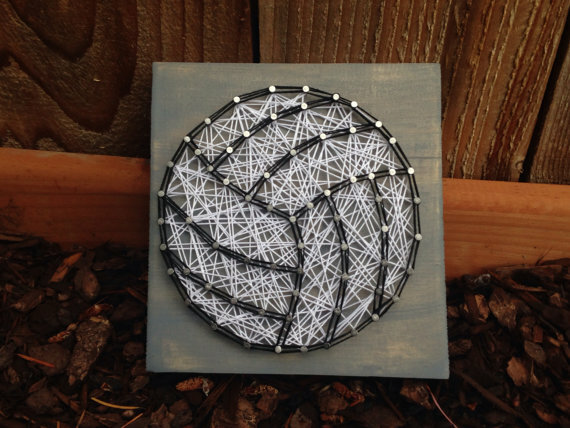 Luckily this made to order volleyball string art might be the ideal gift. These boards can even be customized and ordered larger or smaller to fit your ordering needs. Surprise your volleyball player with the gift they never knew they wanted! Baseball fans can be difficult to buy for. Most die-hard baseball fans already have common memorabilia for their team, whether it be a baseball cap or jersey. 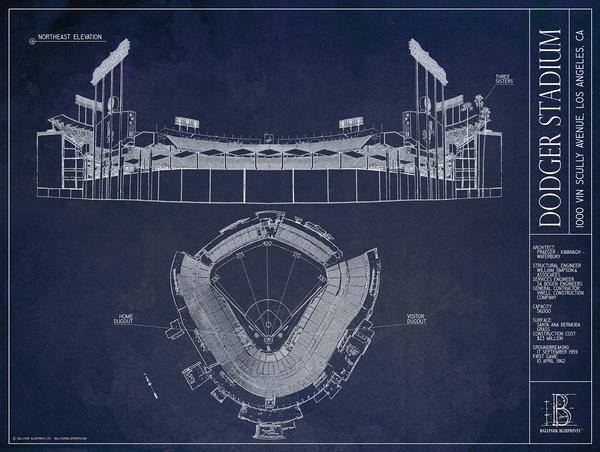 One little known idea for the baseball fanatic in your life though may be a baseball stadium blueprint. Displaying the home field of their favorite team, a stadium blueprint is a great way to remind fans of their team’s history or memories of trips to games. Fans will be overjoyed to recall their favorite times at these stadiums time and time again. This gift would also work wonderfully with a booklet or shadowbox of past ticket stubs to games for the full effect! Similar to baseball fans, a lot of hockey memorabilia is typically relegated to jerseys. It can be difficult to come up with an out of the penalty box idea for a hockey fan. 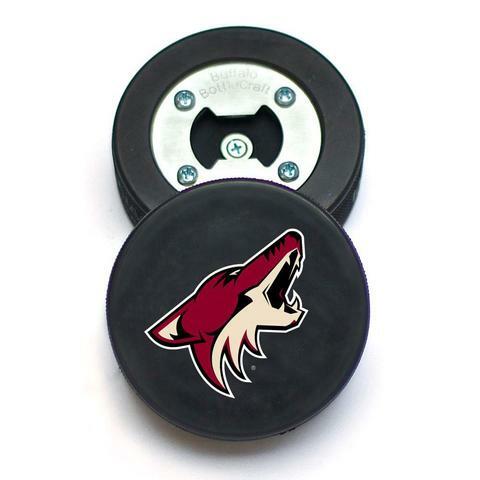 One different gift that hockey fans might enjoy is a hockey puck bottle opener from their favorite team. Sporting the team’s logo, these pucks are sure to be a conversation piece. While potentially even a bit costlier, you may even be able to find game used pucks converted into these special gifts. Hockey fans will, no doubt, love this perfect present. Gift ideas for football fans can be extra difficult. Gift buyers for football fans are usually unsure what to buy other than football jerseys. But now, the New York Times is here to help. Printing custom books of your recipient’s favorite team, they will be able to go through the history of their team news story by news story. 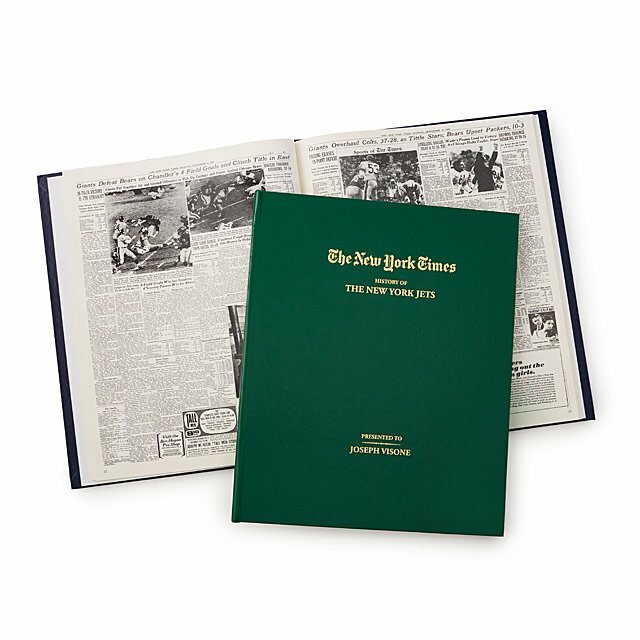 Each and every single front-page story of their team will be included in this stylish book. They will be able to follow their favorite team’s ups and downs through the years and will receive a gift they’ll never forget. People big into skiing or snowboarding might be harder to shop for than others. Sure, you could buy them a new set of skis or a brand-new snowboard, but those can be incredibly pricey and might be out of the range you’re looking for. 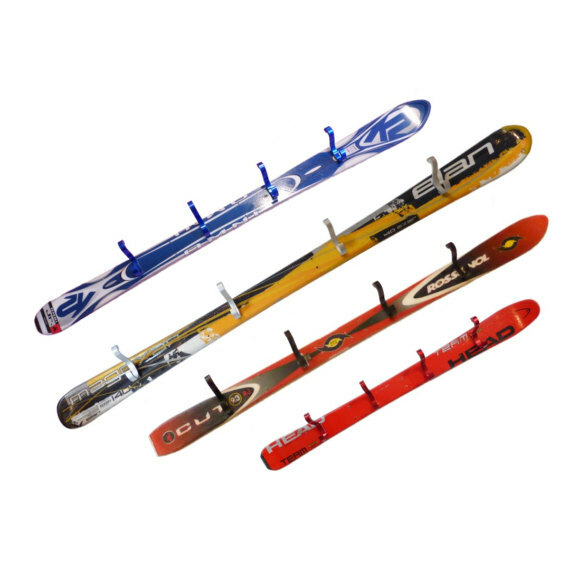 But one idea that might be the perfect gift you’re looking for is a wall-mounted ski coat rack. The perfect decorative piece for their home, these coat hooks are sure to catch people’s eye when they enter the house. For an extra touch, you can attempt to make it yourself and they will definitely appreciate the effort. 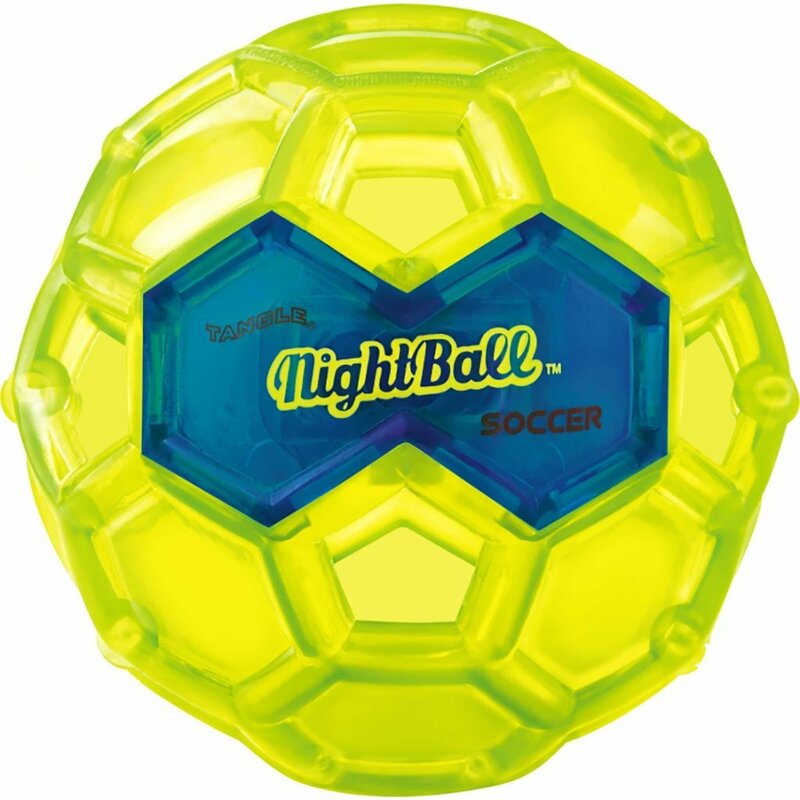 Whether you refer to it as “soccer” or “futbol”, one item that may come in handy when it comes to gift giving is the NightBall Light Up soccer ball. This gift will stand out above the normal player jersey or plain old soccer ball. Sure to provide endless amounts of fun, this soccer ball can allow to keep the game keep going even if the sun goes down. This will be sure to be a present that soccer players never knew they needed in their lives! These gifts are just a few of the out-of-the-box ideas for the sports lovers in your life. Whether it’s soccer, football, volleyball, skiing, baseball or hockey; there is something on here for a fan of any sport.